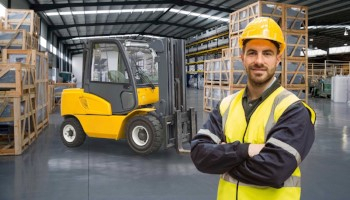 This information-packed seminar will prepare participants to teach Coaching System's Coaching the Lift Truck Operator program - which, since its introduction, has been used to train over half a million lift truck operators nationwide. The program offers instructors the tools necessary to meet OSHA's new requirements for formal instruction, practical training and evaluation. Throughout the seminar, attendees will not only complete the course themselves, they will also learn proven educational methods and valuable tips for running a successful training program. ► A fully scripted INSTRUCTOR'S GUIDE that offers a step-by-step presentation with wide margins for notes and customization. It also includes administrative guidelines, testing options, a Class Registration Form, an Inspection Checklist, an Evaluation/Performance Checklist (also used to determine which operators need refresher or remedial training), a Certification of Training and/or Evaluation Form, OSHA background information, and guidelines and exercises for setting up a hands-on training session.